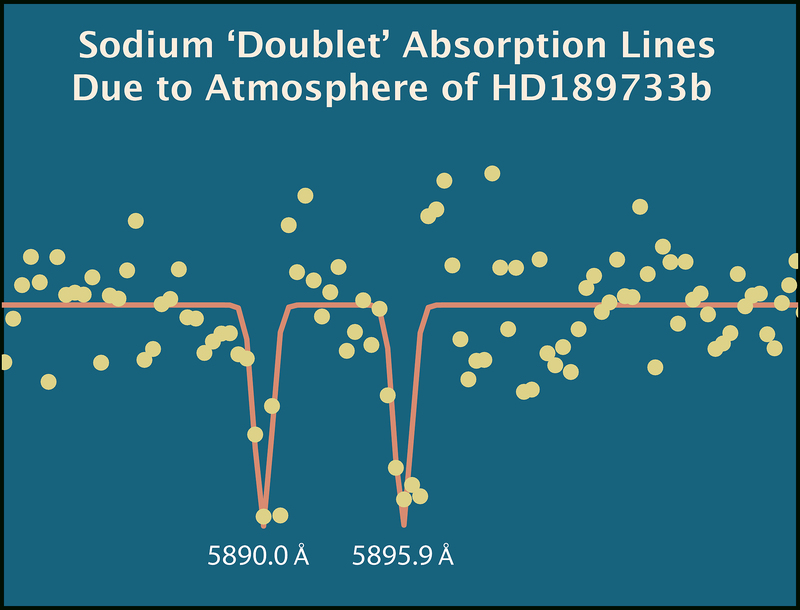 Seth Redfield used HET's High Resolution Spectrograph to detect the well-known signature of sodium, a pair of absorption lines known as a "doublet," at specific wavelengths (indicated here in angstroms) in the atmosphere of the extra-solar planet HD189733b. Credit: S. Redfield/T. Jones/McDonald Obs.